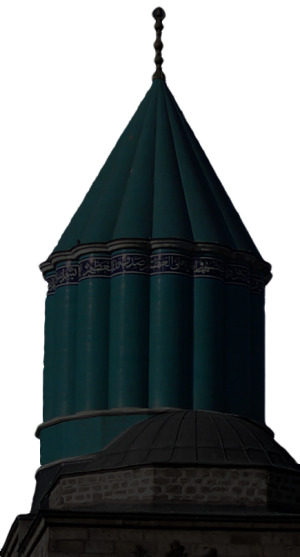 The International Mevlana Foundation was established on 14 March 1996 under the spiritual leadership of Celâleddin Bâkir Çelebi with the aim of further researching the works of the scholar and poet Mevlâna Celâleddin-i Rûmi, as well as passing them on to future generations and contributing to relating activities carried out domestically and internationally. The foundation, established in order to make Hz. Mevlana’s ideas and teachings accessible to the whole world, is managed under the leadership of chairman Faruk Hemdem Çelebi and vice chairperson Esin Çelebi Bayru. The International Mevlana Foundation aims to add to our national and spiritual values by creating projects featuring Mevlana and his teachings. The first project within this framework is a cooperation between the Turkish Ministry of Culture and Ministry of Tourism, and has been approved by UNESCO. This comprises the preservation of “Sema and Mevlevi Music”, an endeavour achieved by the efforts of esteemed masters and followers of Mevlana who are highly specialised in this field. As a result, the “Sema and Mevlevi Music” project has been added by UNESCO to the list of “Masterpieces of the Oral and Intangible Heritage of Humanity”. A second project, also approved by UNESCO, had been the declaration in Turkey and globally of 2007 as the year of Mevlâna Celâleddin-i Rûmi, owing to the 800th anniversary of Mevlana’s birth. This was celebrated with many events and activities throughout 2007, highlighting Mevlana and his teachings. Following the above mentioned projects, our foundation applied to UNESCO in 2009 for accreditation and was approved. In 2010, the project named “Mevlevi Culture and the Sema Ceremony”, prepared jointly by the Turkish Ministry of Culture and Ministry of Tourism, as been approved and received support by the Istanbul 2010 European Capital of Culture Agency. The project commenced in June 2010 and ran until the end of 2010.